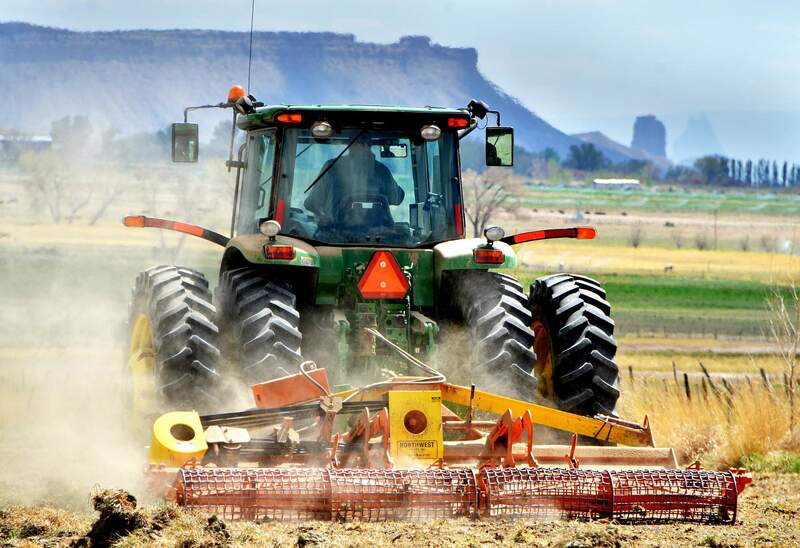 A farmer tills his field south of Cortez, preparing to plant a grass-alfalfa mixture, which many farms in the region are doing. Growing demand from dairies and the droughts in California and Texas may spur demand for local alfalfa. “I think we are looking at, if not a stable, a rising market for alfalfa,” said Terry Frankhauser, executive vice president of the Colorado Cattlemen’s Association. Part of the reason is a slow migration of dairies from the West Coast to states like New Mexico and Texas – the final home for much of the alfalfa grown locally. U.S. Depart of Agriculture numbers show that, in 2012, the price of alfalfa was 150 percent of the 1997 price, and Frankhauser predicts an accelerated upward trend driven by demand for dairy products, such as cheese and yogurt. Recent Census Bureau numbers released in May show the crop is maintaining strong production numbers in Montezuma County. In 1997, the county farmers harvested 41,937 acres of alfalfa from 353 farms. During the drought year of 2012, the farmers harvested 38,881 acres of alfalfa from 495 farms. The transition to raising alfalfa on more farms throughout the county is likely driven by the high market price and lower input costs compared with a crop such as beans, said Paul White, county executive director of the local Farm Service Agency. For example, net income on an acre of alfalfa outpaced an acre of beans by more than double last year, he said. An acre of alfalfa could gross $360 an acre, while beans were about $150 per acre. The overarching issue surrounding alfalfa is the crop’s high water consumption versus its high output value for dairies. “(Dairies) really find the best bang for their buck in alfalfa,” Frankhauser said. In Colorado, that demand is rising because of the growth of Leprino Foods, a major cheese manufacturer in Greeley, which absorbs the production from 100,000 more dairy cows in the state, he said.